This beach is affected by the Deepwater Horizon oil spill. Oil product is present on the beach, and in the water, yet may not be visible due to changing surf conditions. Oil product includes: extensive oil sheen, oil slick, oil mousse, or extremely large numbers of tar chips/balls in the water. Avoid wading, swimming, or entering the water. If oil makes contact with skin, wash it off with grease-cutting liquid dishwashing detergent. Avoid contact with oil and oily materials in the water or on the beach. Avoid contact with dead or dying fish or other aquatic life. Young children, pregnant women, and people with compromised immune systems should avoid oil impacted beaches. If experiencing respiratory problems, leave the beach area and contact your physician, or as you deem necessary. The majority of the population has experienced the Gulf Coast Oil Spill Tragedy through news programs and news publications only. The intent of this blog is to prepare you for our up-and-coming book: Before the Spill: Memories of Life on the Gulf Coast. It will pull heartstrings, invoke laughter and old memories, but most importantly bring awareness to coastal ecosystems and America’s ocean-based economies, which generate more than $230 billion and provide more jobs than the entire farm sector. Ocean-related tourism alone supplies 2 million jobs-jobs that depend on clean, healthy beaches and abundant fish. Even as BP caps the well and eventually pulls out of the area, we’re left behind with poison in our waters, tainted seafood, and the threat of a failing ecosystem. The leak from the oil well, caused by the explosion on a drilling rig about fifty miles off the Louisiana coast, which left 11 workers dead, was estimated at 5,000 barrels of oil a day. Such a disaster is very rare, but the financial and environmental costs are clearly high when it occurs. How should we balance the benefits of offshore drilling against the possible environmental damage? Are there technological advances that could be put in place? 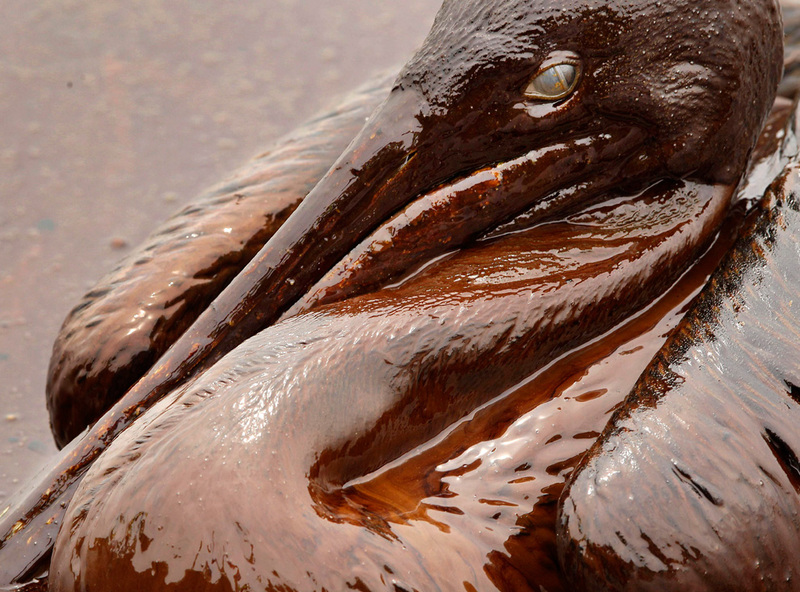 Offshore drilling is dangerous work, as this tragedy reminds us. It also puts our oceans at risk, as we’re now seeing to our horror. We have an oil slick below the surface the size of West Virginia smothering marine life across the Gulf of Mexico and poisoning the fertile Mississippi Delta and the ecologically rich coastline along four states. Are we jeopardizing our oceans economy in the name of fuel production? Should we focus on enhanced oil recovery from existing fields, a process that can supply more than 10 times the amount of oil that could be produced by drilling in our oceans over the same period, to boost our domestic oil supply? These events underscore the importance of considering benefits and costs when striking a balance between offshore drilling and its impact on the environment. The attention the spill has gathered on every news program, talk show, news magazine, and countless other publications and media outlets will remain constant for years to come. The worst has yet to arrive, both economically and environmentally. Most reporting agencies have moved their focus from capping of the well, and turned toward human impact. As long as the oil is in the gulf, there will be a story with a global interest. We hope to captivate you with pure, emotional fact. Laughter. Tears. Compassion. Unanswered Questions. Every grain of white sand on our beach contains the story of earth. Today, unfortunately, the sands lay tainted with the story of man. Ninety-three days have passed since the Deepwater Horizon oil disaster in the Gulf of Mexico, only 52 miles south of the Louisiana coast. The integrity of the detainment cap put in place a few days ago to stop the leak and other efforts such as “static kill” have been successful so far, but it doesn’t erase the 200 million gallons of toxic oil already dispersed in our emerald water. As a comparison, the Exxon Valdez spill, which occurred 22 years ago, amounted to 32 million gallons. Did we learn a lesson? We’re not going to recap every news headline in our book, Before the Spill: Memories of Life on the Gulf Coast, five minutes of CNN will provide all the information you care to hear about the spill and its collision with hundreds of thousands of coastal residents, spanning several generations. Nor are we going to spend every entry rehashing the cause or the blame, or the lack of responsible reaction from so many private and government levels, or the retroactive economic downturn that blasted us like Hurricane Katrina. The environmental blow that may very well last decades has left a helpless knot-of-a-feeling in the pit of every local’s stomach. Nevertheless, this book isn’t just about oil, energy, government, or why it happened. Our book is about memories. My personal entries are from a part of my soul I’ve been reluctant to share. Other than my wife and a few friends, there are only a handful of folks I’ve told these stories to. Not because there’s anything particularly secretive about the tales; they’re just memories I was afraid would diminish in some way if told to a lot of people. Thoughts of those times make me happy when I’m alone on the back porch, letting my mind wander to the past. I led an exciting and interesting childhood growing up on the Gulf Coast; a sort of baby boomer, Tom Sawyer lifestyle. I wasn’t alone. A bevy of friends, acquaintances, and relatives experienced the watery adventure land along with me. In my eyes and in my memory, it was a time that would never end. But with the recent events, I feel strangely pulled in two directions. One is a sudden loss of what may never be the same; a close friend being taken away, knowing I’ll never see them again. The other is a sense of appreciation and joy for what I was blessed with while growing up here. Together, they form a happy farewell, if there is such a thing. I brought my wife Connie back to my home about seventeen years ago. Her first visit to the Emerald Coast was while we were dating, and it came with a warning from me. I told her she’d fall in love with the see-through water, the people, the salty air, and the sand (which never goes away; once you put your toes in, you’re sandy for a lifetime). She, like so many others who’ve walked these beaches, was instantly hooked. It wasn’t long before she begged we move here and start our lives over. And we did. Connie’s journal entries are a bit different from my stories. Hers are simplistic words written from the heart, and of-the-moment. Her time on the Gulf Coast has been like a child looking at something mesmerizing for the first time; each day and event being a new experience that even I, the native, overlooked. She has a way with particulars that surprises me daily. Whether it’s the flora, fauna, or the people and their umbrellas at a beach outing, she makes you feel as if you were there too. The daily observances entered in her notes are often more memorable than my childhood accounts. We’ve written this book together, though from two different perspectives, as a memoir to a region of our land that may never be the same. Like many locals, we’ve tossed the anger aside about what happened and why. Rather, we’ve taken a responsibility to tell some stories of how things were, and still are, for the short-time being. If our words surface a lost memory for you, cause you to look more keenly through your child’s eyes, or make you think twice before tossing out your hamburger wrapper, well, mission accomplished. Moreover, it doesn’t matter where you live: the mountains, on a lake, downtown, the coast, the dessert, anywhere really. What’s important is you take pride and appreciation for your surroundings, because one day you may wake to find your environment, and your life, are about to change forever.